In the past several decades, CBD oil has gained rapid popularity not only for its relaxing properties, but for its potential health benefits as well. 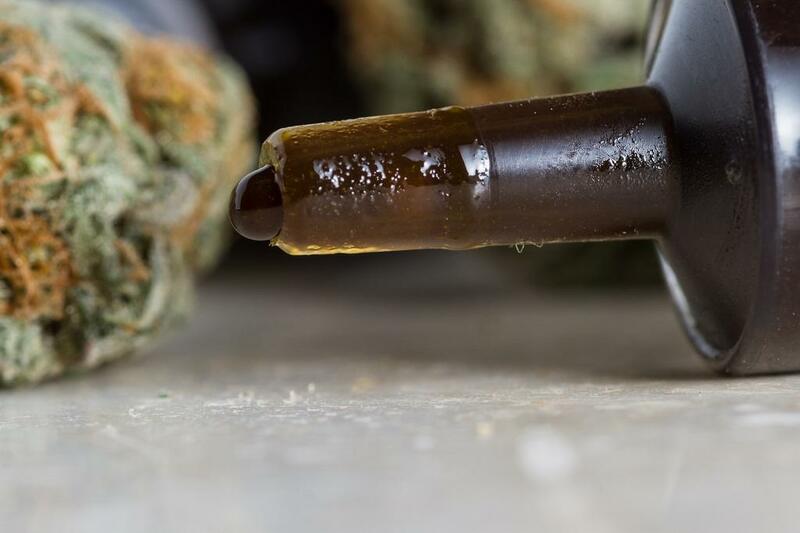 If you’ve been following the fight to legalize medical marijuana in the United States, you may have heard of CBD oil before, but just what exactly is it and what does it do? 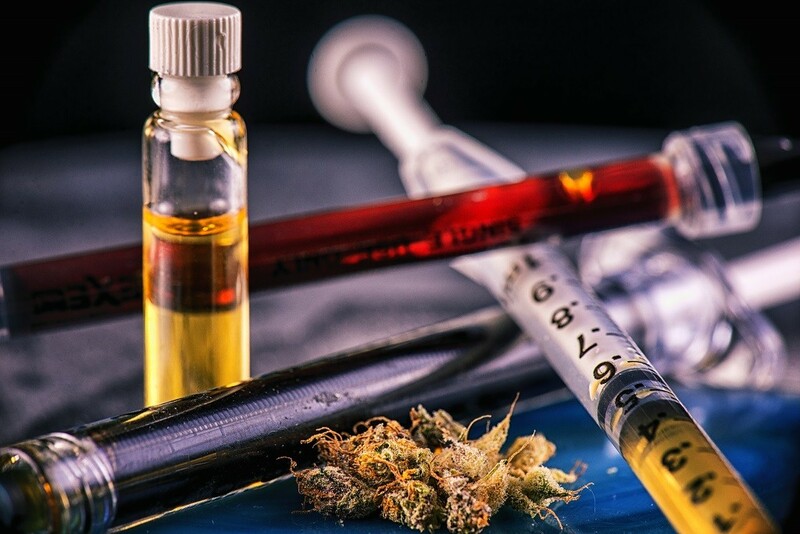 In this comprehensive guide, we’re going to go far beyond those two questions and delve into the history of CBD, its uses, side effects, legality, and even show you how to make it at home. By the time you’re done reading, you’ll know everything there is to know about CBD oil. CBD, also called Cannabidiol, is just one of 85 different chemical compounds in marijuana plants. CBD oil is derived from hemp, or cannabis grown with very little THC (often less than 0.3%). We refer to marijuana as cannabis grown for its psychoactive effects, and hemp as cannabis grown for its practical uses as a fiber. Unlike THC, which is another compound found in cannabis plants, CBD oil is not psychoactive or intoxicating and has shown strong signs of being an effective treatment for a variety of diseases and mental health disorders. While it didn’t gain much attention in the United States until the 1990s, scientists have known about CBS oil for decades, and hemp has been used medicinally for centuries – there’s even evidence that it was used to treat epilepsy as early as 1800 BC in ancient Sumer. CBD was first isolated from hemp in 1940 by researchers at the University of Illinois. For the chemistry buffs out there, here is the original research paper. Even though they had isolated Cannabidiol and determined its molecular structure, scientists still didn’t understand much about it, namely how it interacted with the human body. It was not until the 1970’s that CBD oil began to be studied for its therapeutic properties, particularly its ability to suppress nausea in chemotherapy patients and increases appetite in AIDS patients. Today, the known benefits of CBD oil, particularly its ability to treat children suffering from severe epilepsy, has been a driving factor in the fight to legalize medical marijuana and an increase in serious research efforts. While we still have ways to go, progress is slowly being made. Is CBD Oil Legal in All U.S. States? 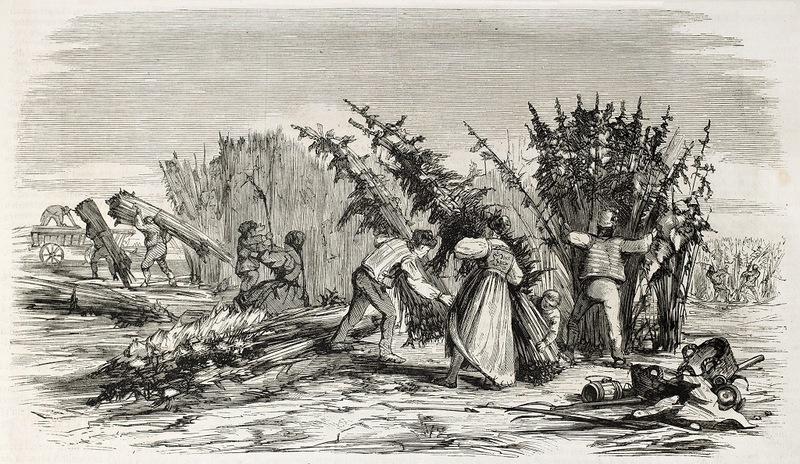 Since the enactment of the Controlled Substances Act in 1970 prohibited the growth of cannabis plants in the United States, legalization has been a slow process. But one state at a time, the cannabis, also called hemp, used to make CBD oil is regaining its legality. At the time of writing this article, 31 U.S. states allow the growth of industrial hemp, with the newest addition to the list being North Carolina. So say you live in Georgia, a state that’s not on the list. You can’t grow hemp yourself, but can you buy CBD oil produced in another state? It’s tricky. While Hemp oil is legal in all 50 states, the production of CBD oil is not. However, this doesn’t stop the import of CBD oil made from industrialized hemp grown legally overseas, which is why you’re able to buy it legally on the Internet. For more information about CBD oil in your state, click here for a list of states that allow medical marijuana, and here for a list of 16 states with laws specifically concerning CBD. While they both come from hemp, hemp oil is derived from sterile cannabis seeds, which are legal under the Controlled Substances Act. CBD oil, on the other hand, is derived from the plant’s flowers. Thanks to a widely popular CNN documentary featuring Dr. Sanjay Gupta (watch a clip here), CBD oil is perhaps best known for its effectiveness in treating seizures, but scientists are discovering that CBD oil has dozens of different uses. While CBD oil is most often used for medicinal purposes, it does have some cosmetic benefits as well. 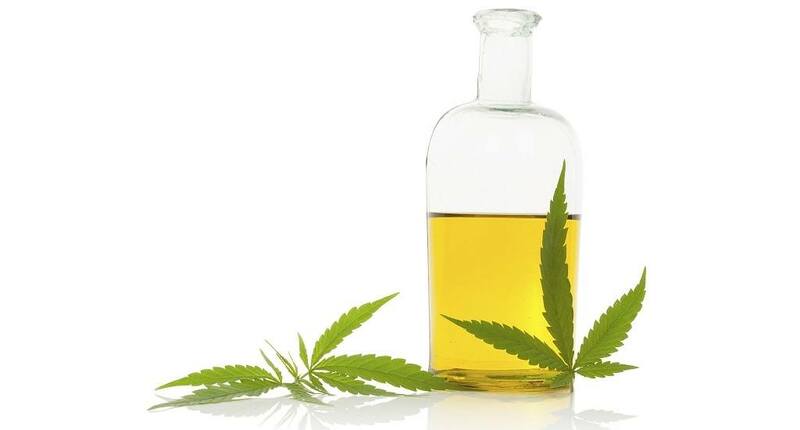 When used topically, CBD oil can act as a moisturizer, acne treatment, and anti-inflammatory for irritated skin. Even if you suffer from one of these ailments or diseases, you shouldn’t try CBD oil until you’ve talked it over with your doctor. While things are looking good for the future of Cannabidiol, scientists have still not yet completed research into its possible side-effects. CBD oil can take on many different forms, including liquids, ointments, and sprays, and capsules. Most oils and sprays are used by putting the substance under your tongue – ointments are used on and absorbed by the skin, and capsules are ingested. Many people who don’t like the taste of sprays and oils prefer capsules. 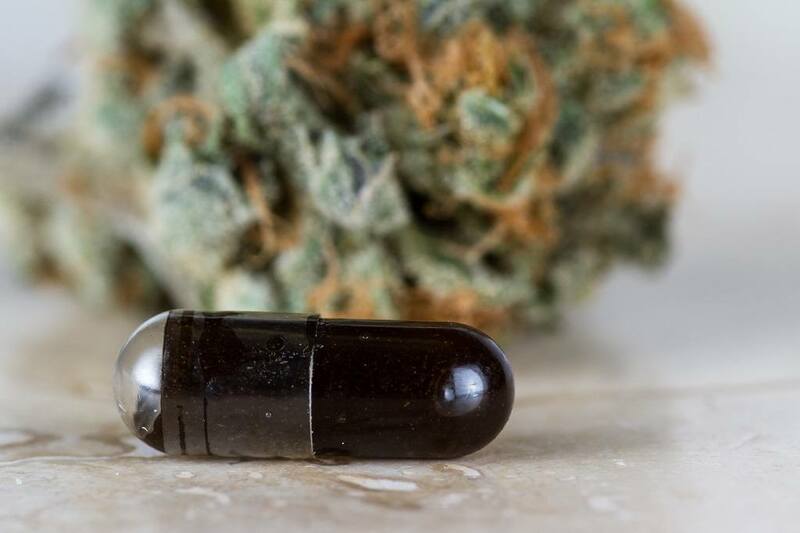 While CBD capsules are the most convenient way to take Cannabidiol, keep in mind that you don’t absorb as much CBD from a capsule as you do from something that you put on your tongue. Cannabidiol capsules can be purchased online. A couple of visionaries looked at CBD oil and asked the big question: does it vape? And yes, vape it does. CBD vape oil is the same as regular Cannabidiol – it’s just taken into the body in a different way. Just fill your e-cigarette or vape pen with CBD e-liquid and viola, you’ve got yourself a vape with health benefits. While the CBD oils sold online are not as potent as those medically prescribed for serious diseases, they can help with mood disorders, lower anxiety, and lessen pain caused by inflammation. Because it’s inhaled, you’ll feel the positive effects of CBD vape oil faster than if you ingested a capsule. While not much research has been done yet on the side effects of Cannabidiol, whether swallowed as a capsule or inhaled through a CBD vape pen, the most commonly reported are digestive issues, such as upset stomach and diarrhea. However, these are very uncommon. No, vaping CBD will not show on a drug test. This is because drug tests are looking for THC, not CBD, and because CBD doesn’t produce any kind of high, employers really have no reason to look for it in the first place. However, just to be safe, make sure you purchase pure CBD oil with 0% THC. You can find CBD vape oils for sale online, but which are best? Koi is currently the most popular CBD vape oil brand on the market for its pleasant taste (flavorless options are also available) and high-quality, fully traceable formulas. But how exactly do CBD oils work in the human body? CBD works by activating the body’s serotonin (anti-depressant effect), vanilloid (pain relief), and adenosine (anti-inflammatory effect) receptors. How quickly you start to feel the results from CBD oil depends on how it was ingested and your weight – someone small who ingested the oil in spray form will feel the effects much faster than a larger person ingesting CBD in capsule form. CBD oil has been shown to have surprisingly positive effects on a variety of diseases, both in humans and their pets. CBD Oil for Pain: CBD is a proven anti-inflammatory, making it an effective treatment for chronic pain, arthritis pain, cramps, and anything else caused by inflammation. CBD Oil for Cancer: The American Cancer Society reports that in lab studies, CBD has been shown to slow the growth of and even kill certain types of cancer cells. While this type of research is yet to be tested on humans, it’s a promising find. Marijuana has also been shown to reduce the pain and nausea that results from chemotherapy. CBD Oil for Anxiety: One of the most popular effects of CBD oil is its ability to keep anxiety disorders under control. When used daily, Cannabidiol can offer a safe and effective anxiety-reducing alternative to pharmaceutical drugs with harsh side effects. CBD Oil for Dogs: Yes, CBD oil is even safe enough to give to dogs and cats. It treats the same problems in pets as it does in humans – joint pain, anxiety, seizures, and inflammation. Of course, nothing in this world can be perfect, so there are some negative side effects to using CBD oil. Luckily, no serious side-effects have yet been reported, but researchers are still figuring out how Cannabidiol affects different groups of people. Experiencing these side-effects is uncommon, but researchers need to rule out any long-term side-effects before CBD oil can receive FDA approval. Pure CBD oil is a higher quality form of Cannabidiol oil. Containing no additives and no traces of THC, not only is it the safest option, but also the most potent with a higher than average concentration of CBD. Most of the major benefits of using pure CBD oil are the same as regular CBD, only stronger, such as pain relief and lessened anxiety. Pure CBD oils are less likely to cause nausea and fatigue. When you see pure CBD oil for sale online, how can you tell whether it’s real or fake? Your first clue is usually price: especially in the United States, CBD oil isn’t cheap to import. If the price seems too cheap to be true, it probably is. Another indicator of a scam is the way that the product is marketed – if you see CBD oil online that claims to cure every ailment under the sun, it’s also probably too good to be true. In our own pure CBD oil review, we looked at a range of products and found what the best pure Cannabidiol oils had in common. The top products were made from organically grown hemp and had a CBD concentration over 20mg. If you live in a state where growing hemp is legal, you can make CBD oil at home. Not only is this more cost-effective than buying online, but you can also tweak your recipe to your liking. You can know for sure that your CBD oil is 100% organic and pure when you choose to make it yourself. There are three main ways to extract CBD oil from cannabis: with an ethanol solvent, an oil solvent, or with CO2. 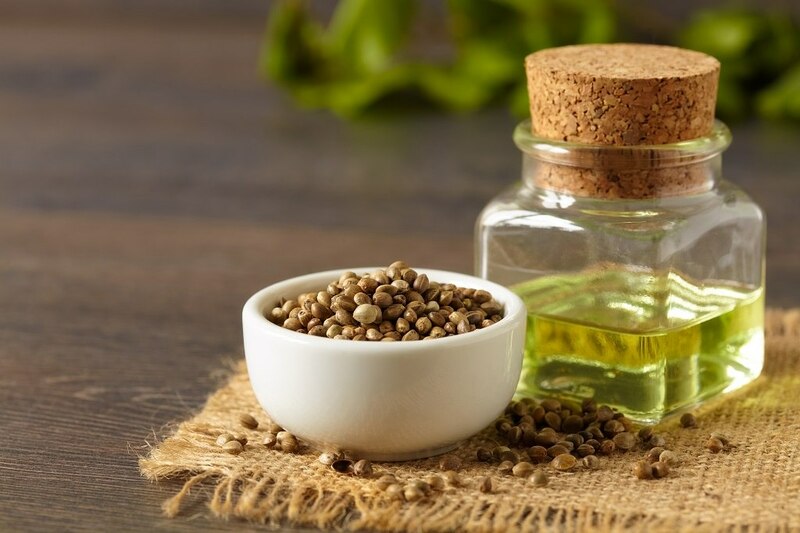 CBD Oil Recipe Ingredients: While each of these methods requires a different set of tools, they all require the same basic ingredient – hemp. Every 1lb of hemp bud should produce about 2oz of oil, so measure accordingly. While this method is extremely effective, it is also the most dangerous. Please use extreme caution when using extremely flammable substances and always work in a well-ventilated area. Put dried cannabis into a large bowl and cover with cold ethanol. Stir the mixture with a plastic spoon for three minutes. Separate the mixture using a strainer, discard the solid plant material. Pour the separated liquid into a coffee filter and let it drip down into the glass coffee pot. The heat should NOT be on at this point. Run the newly filtered mixture through a water distiller. Once fully distilled, pour the remaining liquid into a small bowl and set it on the coffee machine (in place of the glass pot). Let sit with the heat on for 24 hours to remove any excess ethanol. After 24 hours, test the liquid for remaining ethanol using the paper clip and the lighter. Dip the paper clip into the liquid and try to light the tip with the lighter – if it sparks, there’s still ethanol present, and the mixture needs to continue heating for a while longer. This is the cheapest and easiest method of extracting CBD oil from cannabis. The next morning, peel away the solid layer of oil that has formed on top. While the SFE method creates the purest oil, it’s also the most expensive and complex way to extract CBD. It requires specialized equipment. The exact steps in the process are extremely complex, but the basic steps involve moving high pressure, low temperature CO2 through ground cannabis in a pressurized cylinder. The process is completely natural, no solvents required, but it does require some engineering know-how. Each extraction takes 3-4 hours. Whether purchased or made at home, there are many different ways to use CBD oil. The method you should use depends on the effect you want, how quickly you want it, and how long you want it to last. Topical treatments: To use a CBD ointment, simply rub it into the skin where you feel muscle pain, just like you would with any other topical anti-inflammatory. A famous example of a topical CBD oil treatment is Rick Simpson’s oil, which he used to treat his own basal cell cancer. Sprays and oils: To use a spray or oil, simply put the liquid underneath your tongue. Usually, you’ll be required to hold it there for 60-90 seconds. The taste may be unpleasant, but it’s the most potent method. If you need fast relief from pain or a severe condition, this is the best method for you. Capsules: Capsules are by far the easiest way to take Cannabidiol, but they’re also one of the least effective. If you only need a low dosage for a minor medical issue, capsules should be just fine. Vaporizing: For an effect that you can feel almost immediately but doesn’t last as long as a spray or liquid oil, you can inhale CBD as a vapor. Just like the method, the dosage of CBD oil you take also depends on what you are trying to treat. Someone who suffers from epileptic seizures will need a much higher dose than someone who’s just looking to relax a bit. With any new treatment, it’s best to start small and work your way up until you find a dosage that works for you. While we can’t suggest exact dosages, keep in mind that the more you weigh and the more severe your condition, the more CBD oil you’ll probably need. Luckily, there have not been any serious or fatal side-effects linked to CBD oil usage to date – it’s practically harmless. Just remember that little bit goes a long way – even just a drop of pure CBD oil can have a calming effect. We recommend following the directions on the particular type of CBD that you use, and then increasing or lowering the dosage as need be. Because they do not have any psychoactive effects, Cannabidiol is not an addictive substance, so you don’t need to worry about that either. 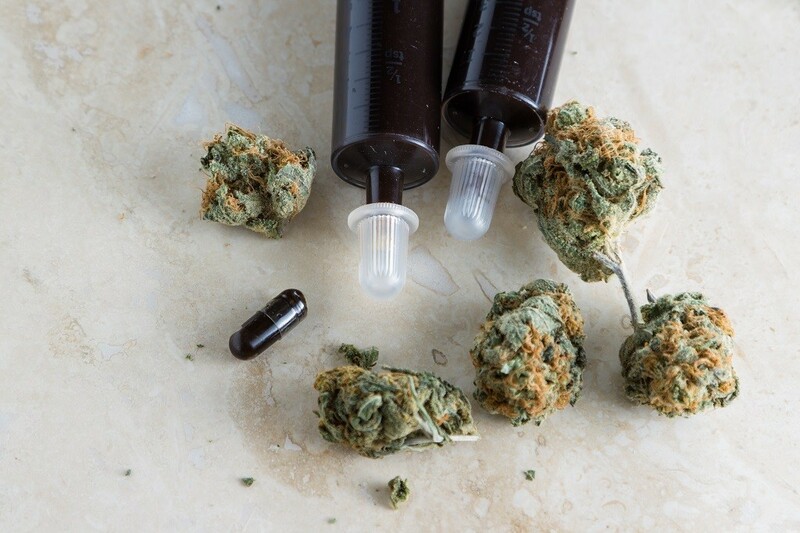 The future of CBD oil looks bright – as more states have legalized the growth of hemp and use of medical marijuana, more people have been exposed to the therapeutic benefits of Cannabidiol. Scientific studies are finally starting to confirm what so many people already know and have experienced. Do keep in mind that because CBD oil is a relatively new treatment option, all of the potential side-effects are not yet known. Always talk with your doctor before starting a CBD oil treatment regime and do so at your own discretion. Photos from: eskymaks / depositphotos.com, wollertz / depositphotos.com, marzolino / depositphotos.com, Nadki / depositphotos.com, wollertz / depositphotos.com, rbspace / depositphotos.com.